Randy Williams of Staunton, Illinois, finally broke the ice: He caught Lake Fork’s first Toyota ShareLunker of the season on Tuesday, March 16. The fish weighed 13.0 pounds and was caught in three feet of water on a Senko. **James Quisenberry caught the fish in 10 feet of water while fishing with a waterdog. The fish weighed 15.61 lbs and was 23.25 inches in girth and 25.25 inches long. The fish is the biggest ShareLunker to come from Lake Fork since 2002. 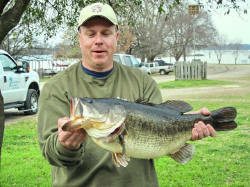 James Barnes from Yantis, Texas caught the third ShareLunker from Lake Fork on March 31, 2010. The bass weighed 13.23 pounds. The fish was 25" in length and had a girth of 21". 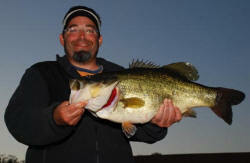 **James Quisenberry's fish ties for the number 33 spot on the list of top 50 biggest largemouth bass caught in Texas. 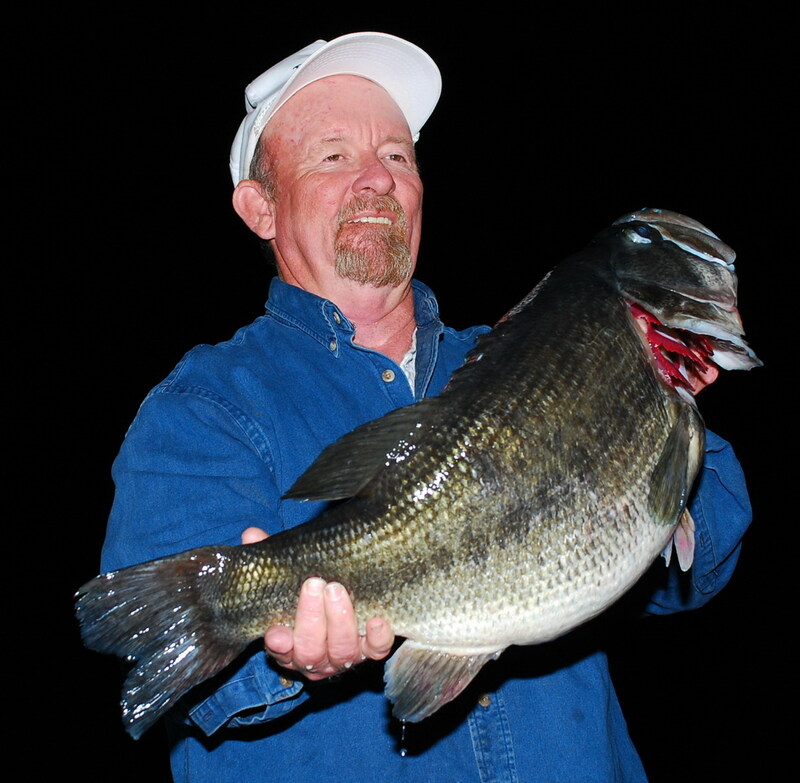 James Quisenberry moved to the Lake Fork area in hopes of catching the bass of a lifetime. That dream came true March 22 when he caught a 15.61-pound largemouth from Lake Fork, but when he weighed the fish at Lake Fork Marina, an official ShareLunker weigh and holding station, he got even better news. The bass ties for the number 33 spot on the list of top 50 biggest largemouth bass caught in Texas, which qualifies Quisenberry for $10,000 in cash from the Lake Fork Area Chamber of Commerce’s Lake Fork Bounty Bonanza tournament. Added to that will be $500 for catching a bass weighing 13 pounds or more, likely another $300 for the biggest bass weighed in during the month, $250 in tackle from Berkley and $500 in tackle from Lake Fork Marina. Quisenberry caught the fish in 10 feet of water while fishing with a waterdog. The fish was 23.25 inches in girth and 25.25 inches long. The fish is the biggest ShareLunker to come from Lake Fork since 2002.